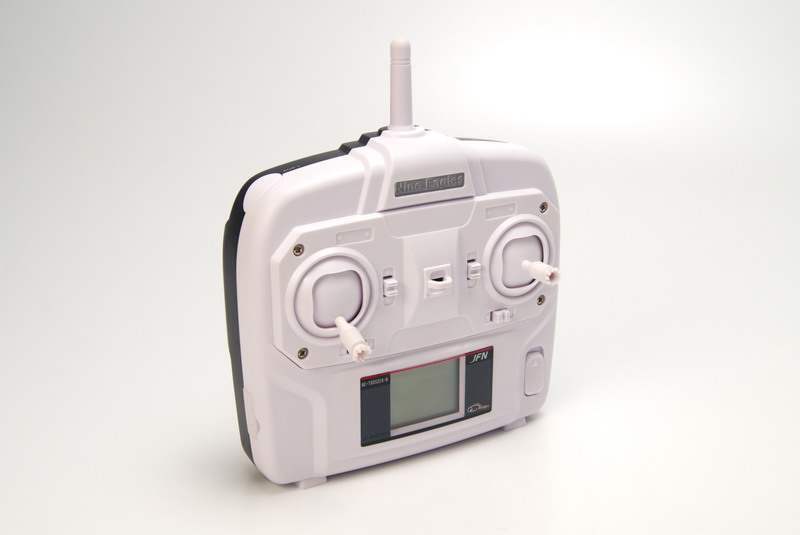 Nine Eagles Galaxy Visitor 2 – a miniature copy of the legendary DJI Phantom quadrocopter, has no analogues in its class. The best engineers of the famous company proudly presented model, at small sizes has a number of features previously available only for the serious techniques of the professional level. The Galaxy Visitor 2 has functions such as hold the direction of flight, regardless of the spatial position and automatic return. 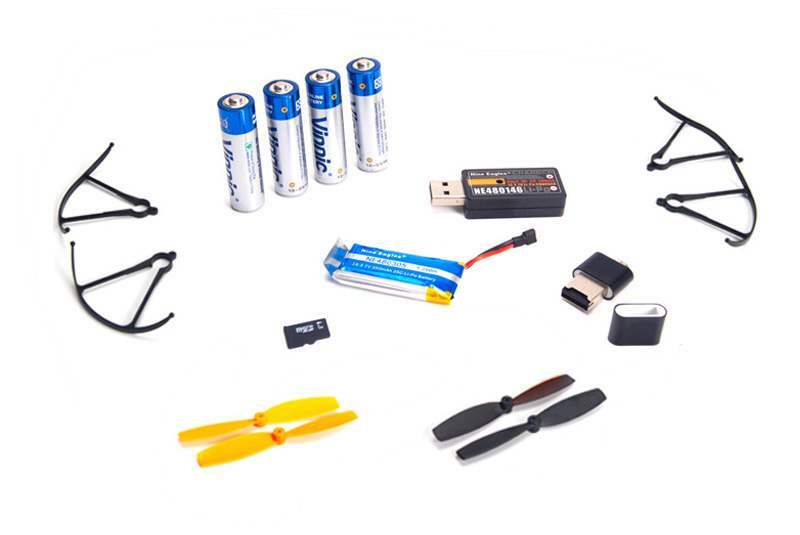 Because of this quadcopter is not only simple and affordable for beginners – every pilot will appreciate the ability to save models with a complete loss of spatial orientation. Now at a great distance, You can easily capture footage! You like a spectacular night flights? An elaborate illuminated housing ensures excellent readability in the dark. 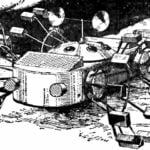 Another undoubted advantage in comparison with the previous models – improved stabilization system. 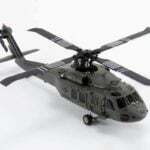 Flying both indoor and outdoor sites, now do not pose difficulties even in gusty wind! 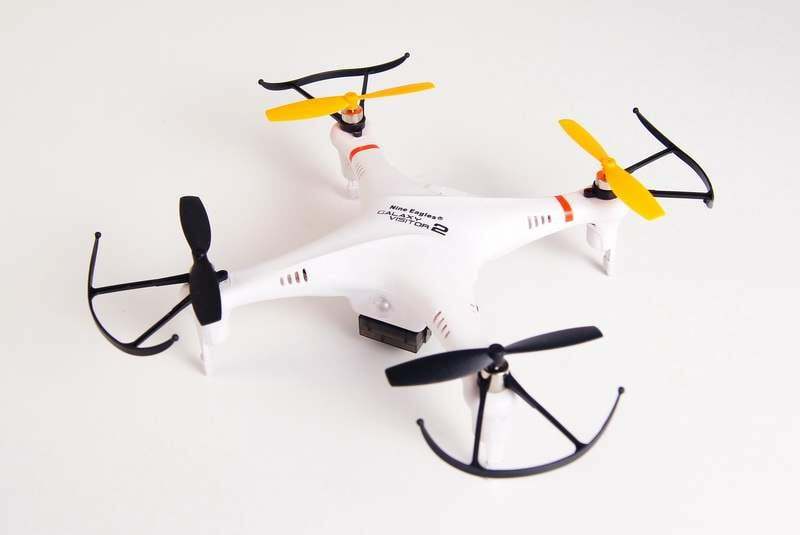 The stabilization system used in the model, have successfully shown themselves on the quadcopter AlienX and since the appearance has undergone significant improvement. Year fruitful work of the best engineers Nine Eagles has not passed in vain – You can take advantage of the phenomenal stability and robustness of the new model, even in strong gusty winds! The case is made of lightweight and durable plastic, it protects the electronics from any external influences. 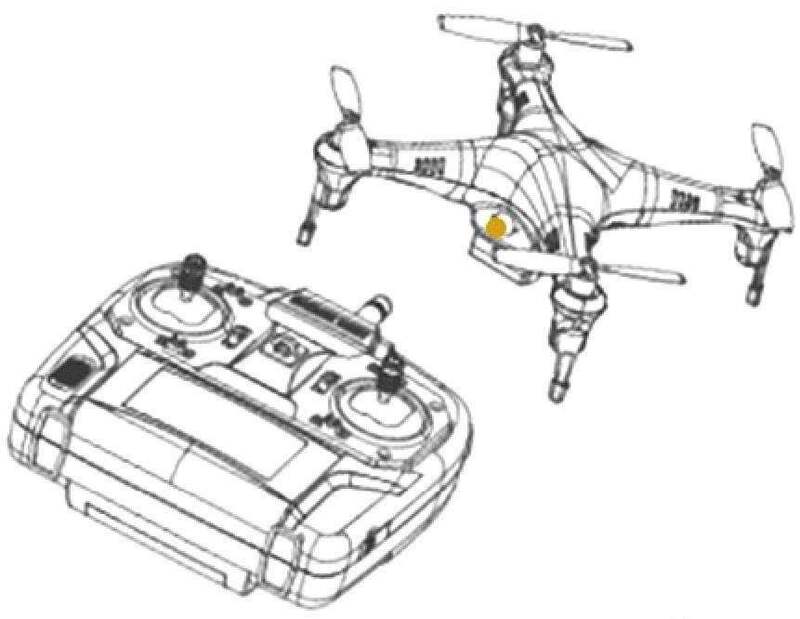 Exterior design is executed in style of the famous model DJI Phantom. On the model installed protective frame that protects the rotors from bumps. Now the crash does not lead to the end of the flight and any damage. Thanks to sophisticated technology, ensures splendid readability of the model even at a considerable distance. As the day, the definition of the spatial position is not difficult. The battery model is located in a closed compartment with a balanced cooling. Lid latch is easily and quickly opened and closed for battery replacement. 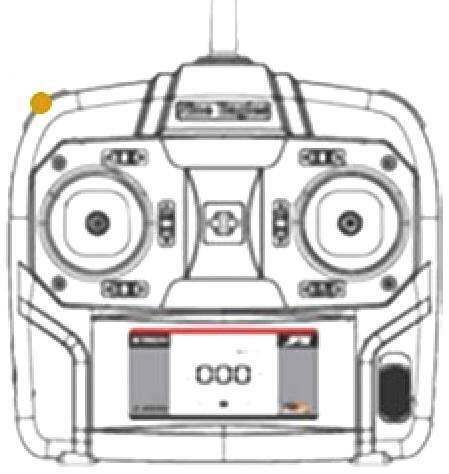 The transmitter included in the delivery set, allows you to configure the maximum deflection angles (expenses). When you turn on the hardware radio system costs by default correspond to the maximum configured programmatically. Short press on the right handle, the angles of deflection reduced two times. The recommended value of 30% for indoor flight and 38% for open spaces. At a deviation more than 50% of the control becomes extremely sharp, this mode is designed exclusively for experienced pilots only in special cases (e.g. in strong winds). To simplify the piloting function is available to retain direction regardless of the spatial position. Novice pilots will help to avoid the most dangerous errors, and for professionals – to focus on complex tasks such as video. 1. Put the included transmitter next to the model so that the antenna was directed strictly to the red led. 2. Press the AUX1 button and hold it until the moment when the led on the housing of the quadcopter will blink. Release the AUX1 button. Hold the directions included. 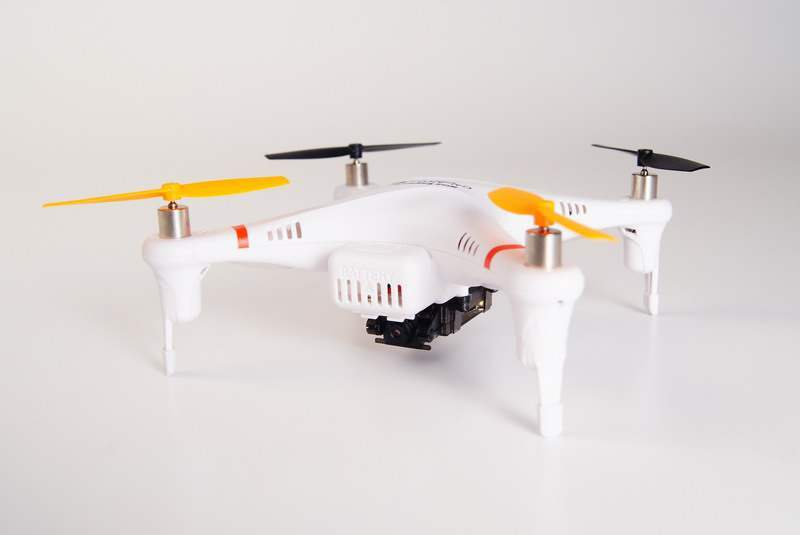 For the first time a drone of such a small size is able to automatically come back to You! This feature will help to avoid losing models even with complete loss of visual control. This decision will be seen as experienced pilots, leading the movie to a great distance, and novice pilots do not have basic skills. Attention! If in the second step after triple clicking on the pen You will hear a short beep -repeat speed setting GPS movement. In gusty wind and flying at a great distance configure the maximum possible rate of return! And of course the built-in camera of 5 megapixels which can be controlled remotely! Now to take pictures and shoot video we can only one button! Flight time: about 6 min. 1. Check the model before each run. In the presence of mechanical damage, immediately stop operation before Troubleshooting. 2. Repairs must be carried out exclusively by qualified specialists of the service centers. Repairs and improvements done by third parties, cancel the warranty. 3. The included Li-PO (lithium polymer) rechargeable battery due to improper operation may cause fire. 4. Use battery exclusively the included USB charger. 5. When you see the swelling of the battery and/or mechanical damage shall immediately stop its operation. Replace the battery with a new one. Use only original batteries recommended by the manufacturer. 6. Do not run the model dangerously close to people and animals. Rotating propeller can cause serious injury! 7. Prevent water and other liquids on electronic components. Electronics is not waterproof! 8. 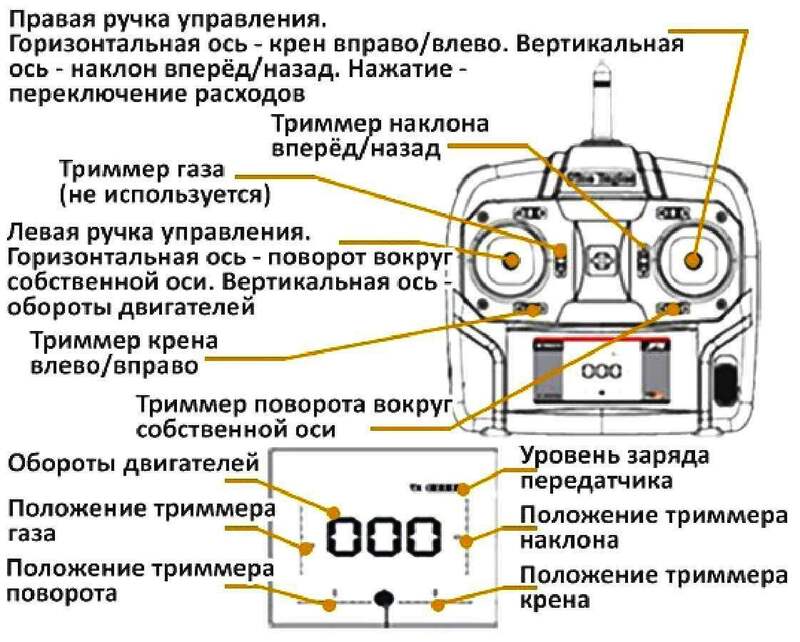 This model is not a toy, it is designed for people 14 years of age, able to assess all the risks in the process of operation. 9. Do not run the model if there is wind above 5 m/s. 1. Turn on the transmitter (remote control). 2. Attention! The battery model is charged at 30%. Charge the battery before the first flight. 3. Connect the battery to the model. Follow the correct polarity, the electronics is not protected against reverse polarity! 4. Set the desired deflection angles (expenses). When you turn on the hardware radio system costs by default correspond to the maximum configured programmatically. Short press on the right handle, the angles of deflection reduced two times (recommended for novice pilots and for indoor flight). 5. With a significant deviation from any of the axes during hover, stabilize the corresponding model trimmer.